HP's new range of tablets feature 8-inch to 12-inch of displays, likely to compete against Apple's next iOS tablet, which is also likely to have a large screen. HP has introduced new range of business tablets. The new range includes eight new devices – HP Pro Slate (12-inch and 8-inch) Android tablets, two ElitePad 1000 G2 Windows tablets, HP Pro Tablet (8-inch Windows), 10.1-inch Pro Slate (Android) and Pro Tablet (Windows), and Elite X2 Windows hybrid (11.6-inch). The HP Pro Slate 12 features 12-inch display with 1,600 x 1,200 resolution. It runs Android 4.4 KitKat and is powered by a Qualcomm Snapdragon 801 (2.3GHz, quad-core) along with 2GB of RAM. Other features include 2MP front and 8MP rear cameras, 802.11ac (Miracast-enabled) wi-fi, Bluetooth 4.0+LE, NFC, 32GB (eMMC), and 37Wh battery. The tablet is priced EuR 529, which is roughly Rs. 37754.66. The HP Pro Slate 8 has similar specifications, except that it has a 7.86 inches (Gorilla Glass 4, 10-point touchscreen, 2,048 x 1,536) and 21Wh battery. The HP ElitePad 1000 G2 Rugged Tablet has 10.1 inch (Gorilla Glass 3, capacitive touchscreen with digitizer, 1,920 x 1,200) display. It runs Windows 8.1 and is powered by Intel Atom Z3795 (1.6-2.39GHz, quad-core) processor along with 4GB of RAM. It comes with 2.1Mpixel front, 8Mpixel rear (with LED flash) cameras, and 30Wh battery. HP has launched another variant of the tablet aimed at healthcare segment. 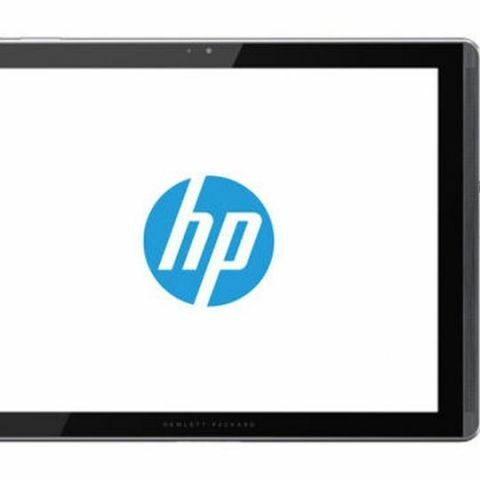 The HP Pro Tablet 408 G1 has 8-inch IPS 10-point touchscreen, 1,280 x 800 display. It runs Windows 8.1 (32-bit) and is powered by Intel Atom Z3736F (1.33-2.1GHz, quad-core) and 2GB of RAM. The tablet comes with 2Mpixel front, 8Mpixel rear (with LED flash) cameras. It is powered by a 4,800mAh battery. The HP Pro Tablet 10 EE G1 has 10.1 inch display with 1,280 x 800 resolution. It runs Windows 8.1 (32-bit) and is powered by an Intel Atom Z3735G or Z3735F (1.33-1.83GHz, quad-core) processor and 1GB of RAM. The tablet sports 1.26Mpixel front/3Mpixel rear or 2Mpixel/5Mpixel (with LED flash on some models) cameras. It is powered by a 29.6Wh battery. The HP Pro Slate 10 EE G1 has 10.1 inch (IPS touchscreen with digitizer, 1,280 x 800) display. It runs Android 4.4 KitKat and is powered by Intel Atom Z3735G or Z3735F (1.33-1.83GHz, quad-core) and 1GB of RAM. The HP Elite x2 1011 G1 is a hybrid, featuring 11.6-inch (IPS eDP LED-backlit touchscreen, 1,366 x 768 or 1,920 x 1,080) screen. It runs Windows 8.1 (64-bit) and is powered by Intel Core M-5Y71 (1.2-2.9GHz, dual-core), Core M-5Y51 (1.1-2.6GHz, dual-core) or Core M-5Y10c (0.8-2GHz, dual-core) and 4/8GB of RAM. The tablet sports 2Mpixel front, 5Mpixel rear cameras. It is powered by 33Wh (tablet), 21Wh (power keyboard) battery.